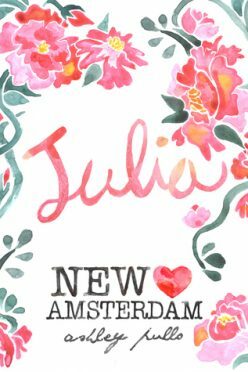 I started eyeballing Ashley Pullo’s New Amsterdam books when they were first released because of those gorgeous covers. Does that make me shallow? I’m embarrassed to admit I lost track of them in all the other books and didn’t get around to reading them until only recently. They were on my wishlist and, once I realized they were part of the Kindle Unlimited program, I read the blurbs again. It was then I knew I needed to read them sooner rather than later. It wasn’t long before I dove right in and fell head over heels in love. Thessaly Sinclair owns an artisanal shop in the historic Seaport district of Lower Manhattan. She’s savvy and charming, and appears to have it all, but a romantic hang-up is holding her back from experiencing true love. In the summer of 2010, photographer Brandon Stanton began an ambitious project – to single-handedly create a photographic census of New York City. The photos he took and the accompanying interviews became the blog Humans of New York (St. Martin’s, 2015). I wouldn’t call myself a rabid Humans of New York fan, but I’ve always had an appreciation for Brandon’s work and the stories he tells. I even had the opportunity to listen to him speak a few years ago at a conference, but that’s a little off topic. (He was amazing though.) New York City is such a mixing pot and humans are fascinating. He does a great job of telling their stories. The same can be said for Ashley Pullo and this series. Tess (the book) was unique and charming and I basically inhaled it. The writing was gorgeous. I found myself totally sucked into the story between Tess and Levi. And, if I’m honest, the story of every single side character introduced during this novella. The characters are rich and the stories compelling, even though it’s mostly every day events that are told. Maybe that’s why they’re so fascinating, actually. 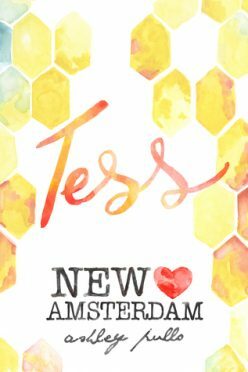 Regardless, I loved the format and the storytelling and, for someone who absolutely loves New York City like I do, Tess (the book) was almost like a love letter to the city itself. Love is pure. Love is organic. Love is raw. Love is sweet. Love is non-perishable? Julia Pierce is a popular wedding columnist for a highly-respected NYC newspaper. She creates modern fairy tales by penning editorials about wealthy couples and their fantasy wedding venues. Cautious and cynical, her romantic life is anything but spectacular, but true love is closer than she realizes. Once again, Ashley Pullo wrote something utterly magical. Julia (the book) was perfectly adorable and charming and I read it in about an hour. I couldn’t flip the pages of this one quickly enough. I was so enamored with Julia and Theo and every other aspect of this novella, if I’m being honest. It was exactly what I needed in my life when I read it. Everything about Julia (the book) worked for me. I loved the characters and their development. The story totally sucked me in and gave me all kinds of heart eyes. It was romantic and fun and I loved the New York City setting nearly as much as I did the characters. Just thinking about this novella makes me smile. Because Theo and Julia are simply characters within the bigger story — guests at a wedding, assimilated residents of a vibrant city, and specks of light under a dark sky. Darby Wallace is a beloved blogger for a trendy, social media platform. Her assignment is to expose (in 500 words or less) the real New York City - the people, the music, the politics, the latest food fad, and the irony of being single in a city with eight million people. With her own life a spiraling disaster of bad decisions and failed relationships, Darby must rely on the strength of strangers to find the one who got away. 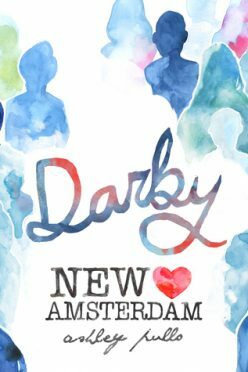 My intention with the New Amsterdam series was to space them out so I could enjoy them longer, but I dove into Darby as soon as I finished Julia. The latter left me with so many happy feels, I couldn’t wait to get more. I totally read both of them in the same evening. I’d say I regret nothing, but now that I’m waiting for more… I’m kicking myself just a bit. Darby (the book) had a totally different feel to me. Darby (the character) wasn’t nearly as likable at the beginning as the other characters had been. In fact, she was kind of a mess, just barely getting by. She had too many vices and relied on them too heavily and, to my dismay, she threw away a completely swoony man for virtually no reason. I was skeptical about whether I’d be able to relate to the character and whether I’d end up liking her. But I did. In fact, this just might be my favorite of the three stories so far in this series. I won’t say more than that, though. Just trust me, read it and make up your own mind. Darby (the book) ended up giving me massive amounts of feels and totally made me cry, too. But my heart was so full, so happy, at the end that it was all worth it. It really was a beautiful story, told in the same unique format as the other New Amsterdam novellas. Speaking of the other novellas, I need more. I know there’s one more supposed to be coming and, quite frankly, it can’t happen soon enough for me. I’m in love with these stories. Residing in New York city with her husband, two children, and two Boston terriers, Ashley Pullo is an author, entertainment blogger, and an advocate for cultural literacy. Have you read any of Ashley’s books? 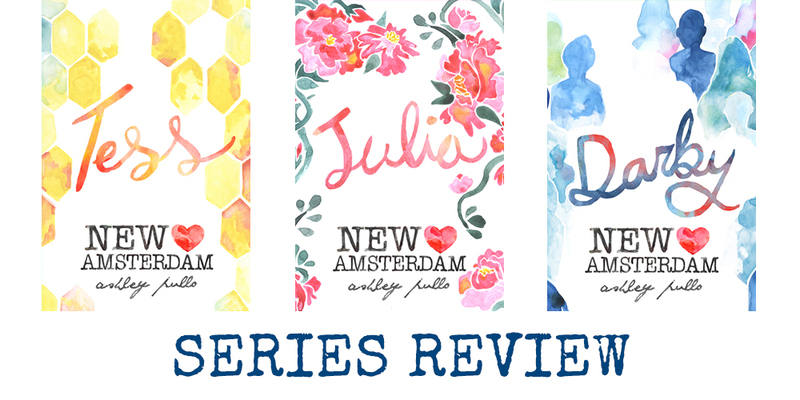 Does the New Amsterdam series sound like something you’d enjoy? Hello, I love reading and I also carry many books in my backpack many times. Now, I use to read ebooks. It’s very easy to read on any place & any time. Thanks for sharing your experience. Keep posting! Hello Kim, I am about to purchase some series. Thank you for sharing the review. After reading your review about books now I can purchase this book. Keep sharing.